Recently I had a little bit of time so I decided to make some crepes. The crepe recipe I used is adapted from basic Crepe Recipe in the first edition of Mark Bittman’s How to Cook Everything. The recipe made one dozen crepes, so I made a quarter of a recipe since I was cooking for just myself. Since I had never made a crepe before I had to get the technique down. I did not have the a crepe pan so i used a nonstick skillet. The second of my three crepes was the best. The first crepe was too thick because the batter was not runny enough. I added about a tablespoon of water to the remaining batter so the second crepe was beautiful. The third crepe was lumpy because I poured the excess batter from the second crepe out of the pan back into the bowl so there was partially cooked batter in my batter bowl. 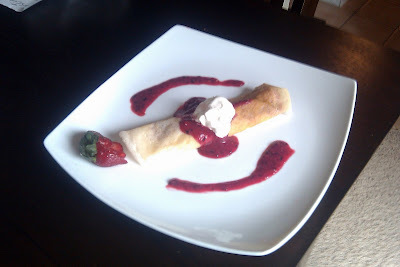 I wanted a rolled crepe with filling inside so I decided I would use berries. Strawberries are something that thinks I could eat at every meal. 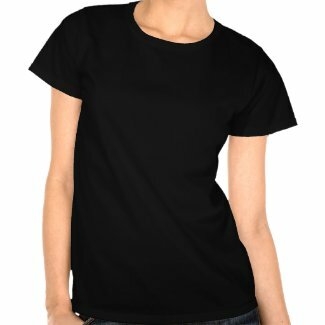 They are the first place I head towards in the store. I was not sure how to make the filling so I decided to blend the fruit in the blender. This made fruity syrup but I wanted some more chunks so I put some cut strawberries and the syrup in a pan on the stove to heat it all up. Once the fruit was warm, I put the chunks inside the crepe and rolled it up. Drizzled the some syrup on the top of the crepe and finished with a dollop of whipped cream on top. The flavors were great together the fruit was just sweet enough to cut the tartness of the fruit without the meal tasting like I was eating at IHOP. Crepe recipe that highlights the fruit and not just the sugar. whisk flour, milk, egg white,oil and salt together. If you still have lumps, it is ok. check the consistency of the batter, it should be thin enough to run thinly across a pan when tipped. If it is too thick, add water a teaspoon at a time. let set while you make the filling. Wash,core and slice strawberries putting half into a blender and setting half aside. Wash blueberries, remove stems, and put half into blender. Blend fruit until smooth. You can run the pure through a strainer to remove seeds but it is not necessary. Transfer to small saucepan and put on medium heat. Add remaining fruit and sugar to the pan and heat to simmer and remove from heat. Heat an eleven-inch non-stick or buttered skillet on medium heat. Otherwise, grease the pan with butter, oil or cooking spray. Once pan is hot, pour ¼ cup of the batter into the pan and tilt the pan to cause the batter to cover the entire bottom of the pan. Pour the batter that does not set right away out of the skillet and let what does not pour out cook until the underside is brown. Flip and let the second side brown, remove and stack on a plate and cover with aluminum foil to keep warm. Build crepes by spooning filling on to crepe and roll like a burrito. Top with more filling and whipped cream.